Are you buying your first hitch or upgrading to a PullRite hitch system? 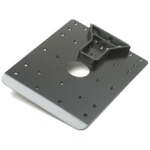 One integral part that makes the sliding cam action activate on a PullRite slider hitch system is the capture plate. PullRite has made dozens of capture plates to fit the most popular king pin manufacturers like Lippert, Mor/Ryde, Fabex, and Trailair. 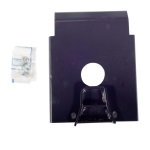 Looking for a capture plate that will match your kingpin box and make installation simple. PullRite has also made a universal capture plate that takes the guesswork out of finding the right capture plate for your specific king pin. If you have a Demco Hijacker Series we have Demco capture plates for the 5th Airborne Standard Pin Box, or MOR/Ryde Pin Box. At Dyers we carry the hitches, bracket kits and capture plates you need to tow your 5th wheel the way you want to!